Global CEO of Startupbootcamp FinTech and one of the top global voices in the FinTech landscape, Nektarios Liolios, will be here in Mumbai to share his experiences with leaders from the financial industry of having executed impactful innovation portfolios for over 140 corporates globally and in India over the last 8 years. Armed with insights from helping 500+ FinTech start-ups collaborate with corporates, Nektarios will deep-dive into the hits and misses in the corporate innovation space. Evolving technology, access and availability of data, low cost to startup have created a reality where limited budget, a platform environment, and micro-services have become the modus operandi. These new business models have brought about tremendous disruption, challenging the traditional concept of a tightly coupled and vertically integrated bank. The advantages of size and resource that established banks had are no longer sufficient to support the continued prominence of their business units. How do financial institutions engage with FinTech startups for best results with only 10% success ratio in collaboration attempts? How do you respond to new business model catering to unserved customer segments? How do you decide on a balanced innovation portfolio strategy between collaboration and competing with disruptive new business models? How to stay relevant with each layer in the value chain requiring completely different capabilities? This exclusive roundtable is by invitation for leaders in the Indian financial ecosystem. Kindly nominate yourself here. We will review your profile and get back to you as soon as possible. We are Startupbootcamp – a global network of 22 industry focussed innovation programs across 16 cities in the world with over 580 startups accelerated that have raised a total of €331m in funding. 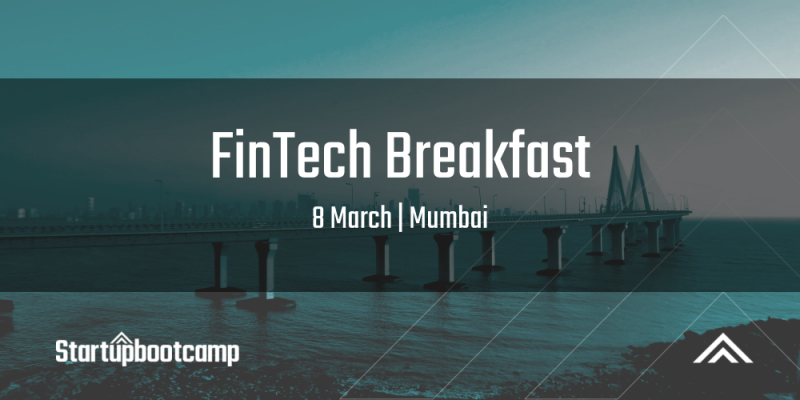 The SBC Mumbai program, launched in 2017, focuses on the FinTech landscape in India and has two innovation programs designed to meet needs of startups at different maturity stages. Kaledonia, A-wing, 1st floor, HDIL Building, Sambhaji Nagar, Andheri East, Mumbai.